Tool for the mind that will immortalize your thoughts & memories. Create your avatar and train it. Your friends & family can find you when you are not online. As we say – Grab the future, don’t miss the moment! Teach your avatar how would you answer in a different situations. Q: What was your first pet name? In the Diary of your avatar you can write every moment of your life which is remarkable! Your Avatar Messenger will help you to find what people ask your avatar. Friends & Family is the place where you will find the avatars of your beloved once. Speaking with your avatar regularly will give you a direction for your practicing. If after a week of active training with your avatar you start to see yourself in it, then you are on the right way! ExMoment features are much more than what we can fit on our page. Create your avatar now and find all of them! Train your avatar, publish your everyday stories and get more experience points. Collecting XP will boost your level, with higher level you receive more future coins and other amazing rewards! What are the Future Coins? Future Coins are the currency of the avatars. With them you can get the monthly membership of your avatar! Level up, collect quests and gather more & more future coins everyday to be on top! Quests are the best way to train your avatar, keep your story interesting and collect future coins. You will unlock another unique quest every time when your avatar finish the requirements of the previous. It’s important to remember that you must finish the quest in one day in order to be able to collect it! Once you finish all the tasks, you’ll see a collect button under the rewards of your current quest. What people said during the BETA? 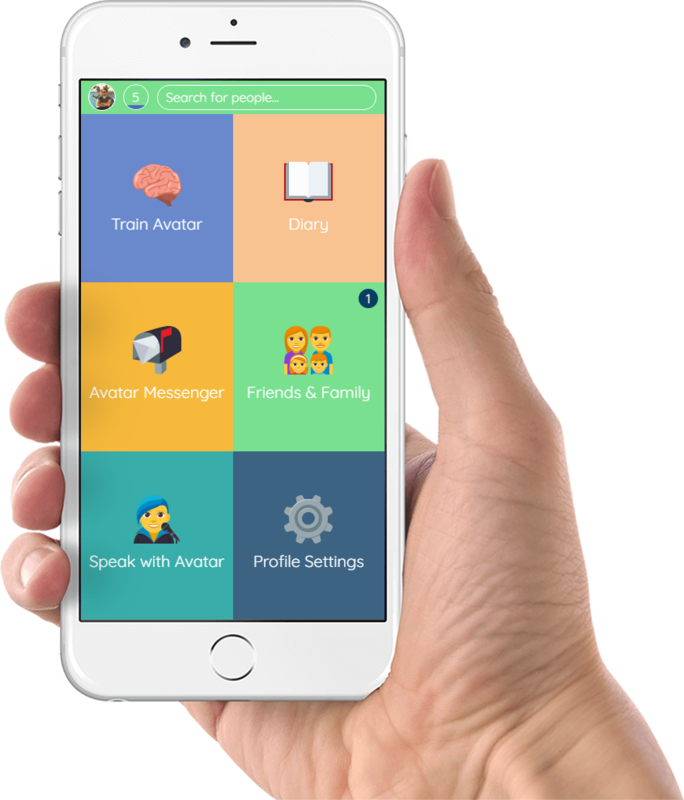 At the beginning I was sceptic about the idea… But during the testing of the app I realized that my thoughts & memories will live in it for my kids and grandkids. Thank you ExMoment! What makes us unique individuals are our memories. That’s exactly what ExMoment does. It preserves them and allows to my family to speak with me whenever they want! I think that’s the path to true immortality! The idea of ExMoment is great! Putting your knowledge into the machine is really the way how to preserve yourself through the years. I’ve always wanted to live forever. ExMoment helps me to achieve that! Training my avatar everyday, finishing different quests and gaining more and more experience I’m starting to see myself in it! Join World’s most innovative idea and change the world forever! Spread the word about ExMoment.com in your website or social media profiles and generate olympic payouts. Simple as 1, 2, 3! We developed a brand new affiliate platform just for you, with just the right stuff in it. Get the maximum from the beginning with blazing commission of 65% on every new user which you bring to the future! Don’t miss the moment change the future with us!